Covering the arrival and departure of the President on the South Lawn of the White House can be pretty mundane. The routine is pretty much the same every time. Press are ushered to the South Lawn. Marine One arrives and lands. President either exits the residence or the Oval Office and make his way to the helicopter, hopefully waving or at least acknowledging our presence. President boards Marine One and maybe waves back at us. 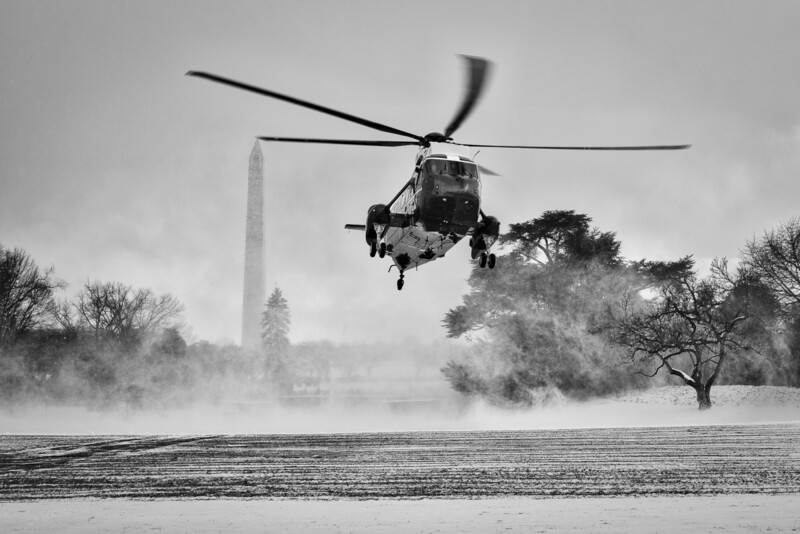 Marine One departs. Usually the only difference is whether it is a day or night event. But every once in a while something occurs to make it a real photo op. Like snow the day before. 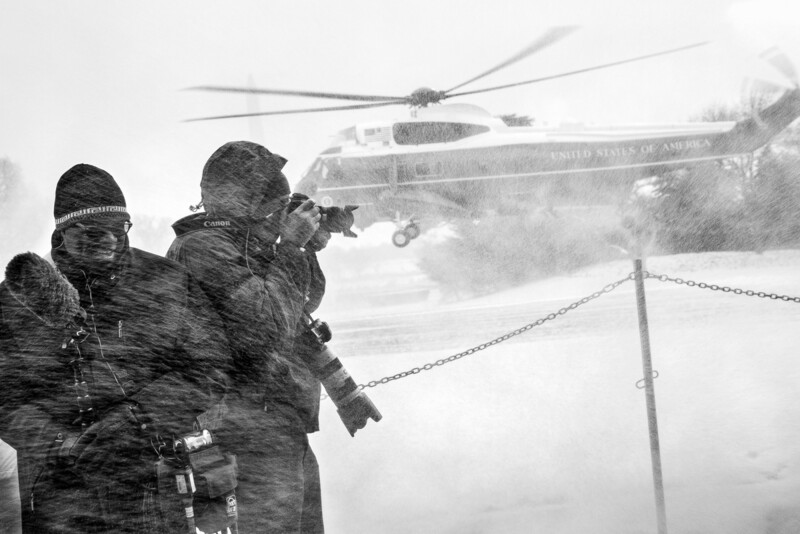 Because snow on the ground when the helicopter lands, means snow blowing everywhere and the possibility of a cool photo. 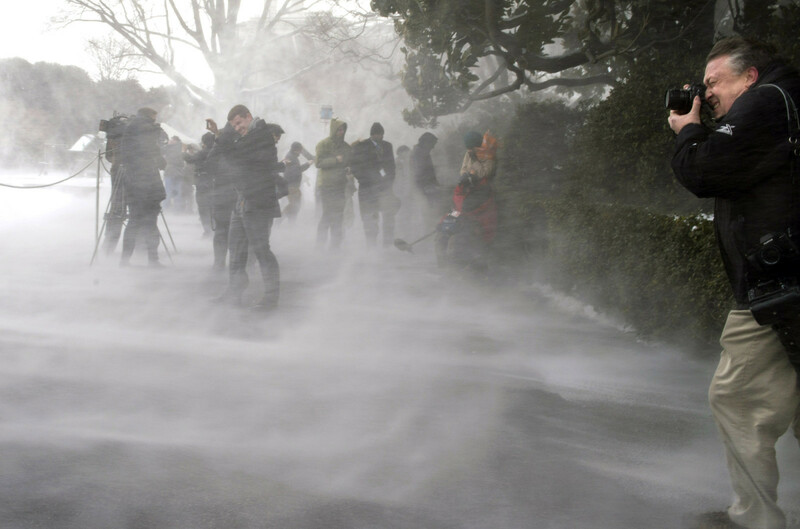 Now of course we were prepared to get snow blown all over us. What I was not considering was that it was about 20 degrees outside (if not colder). A hovering helicopter can generate winds between 70-115 MPH. Combine that with the snow and the icy particles that had formed on top of the ground cover pelting us… it was a tad nippy. And icy snow stings at that speed. After grabbing as many frames as we could, most of us where ducking for cover. But at least it offered better photos! 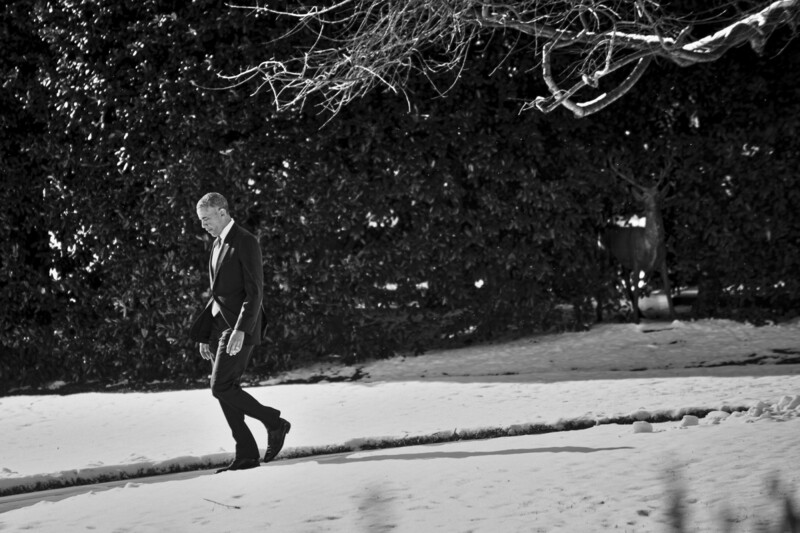 Somehow I feel that the President was making a subtle jab at us when he made his way from the Oval office to Marine One in just his suit and no overcoat, as if it was just a nice spring day.